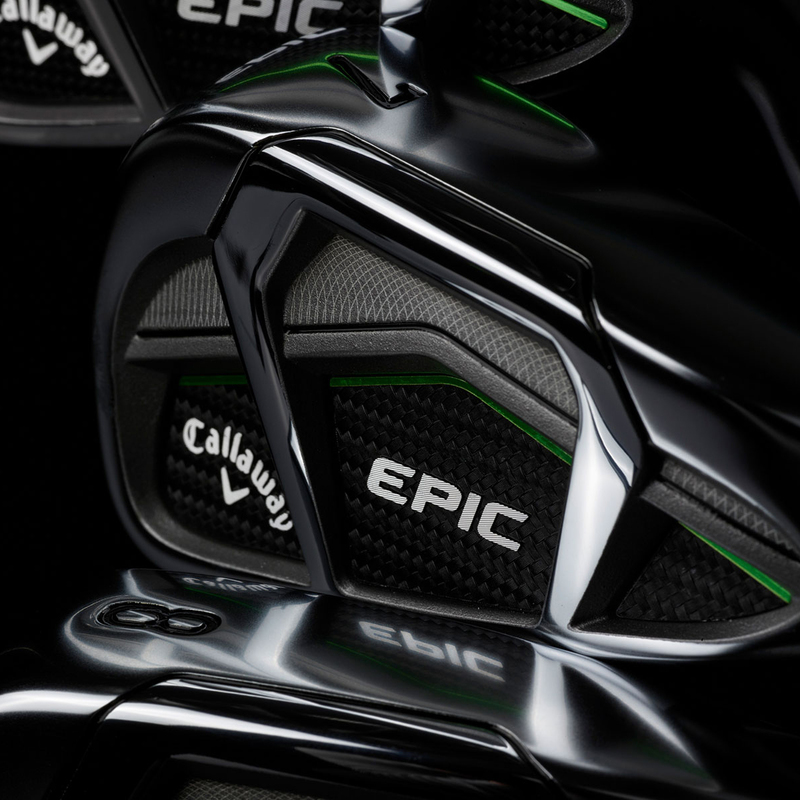 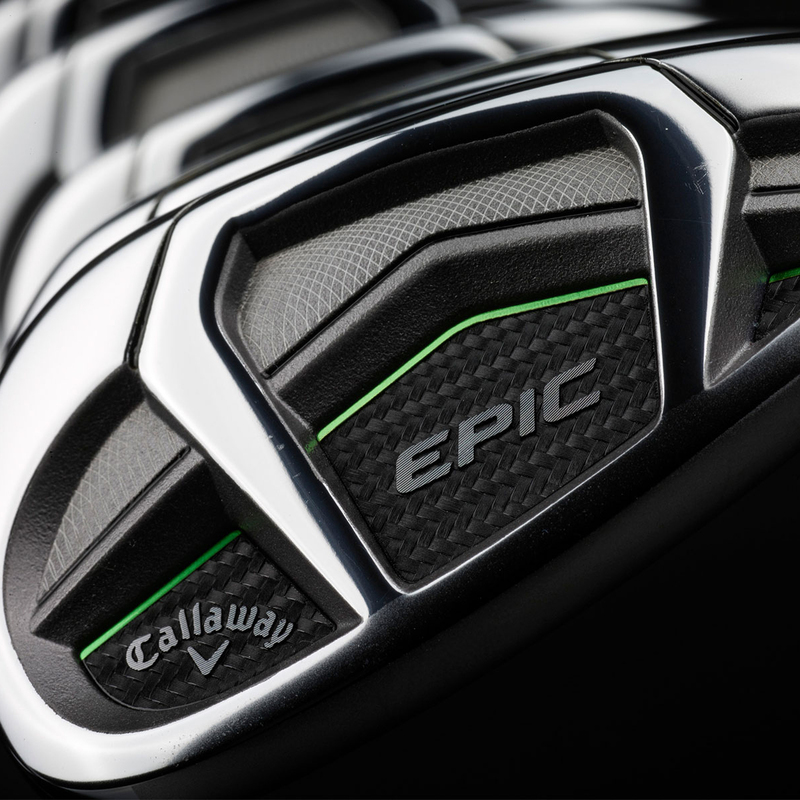 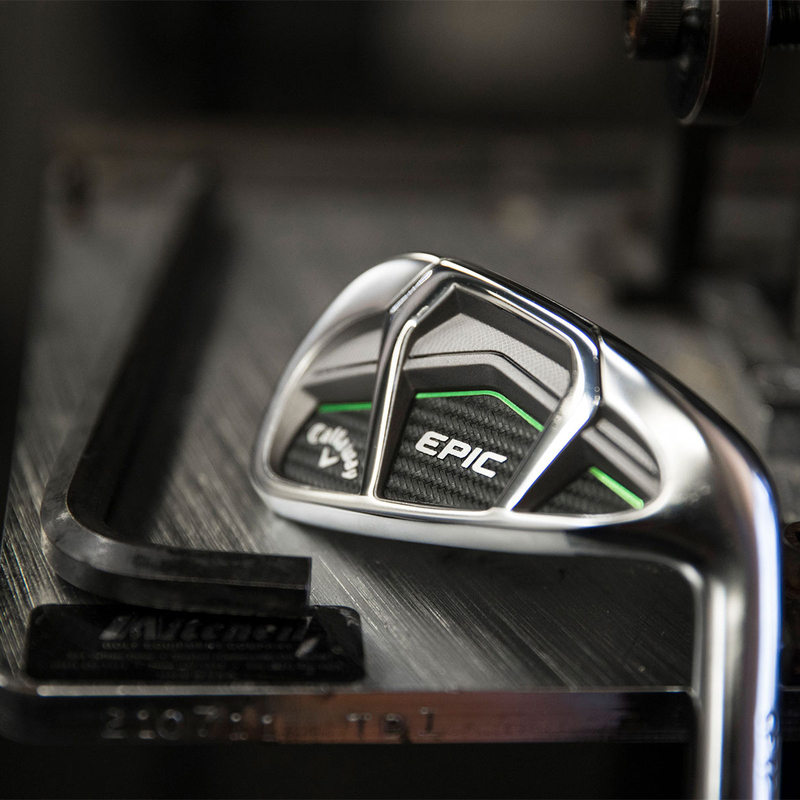 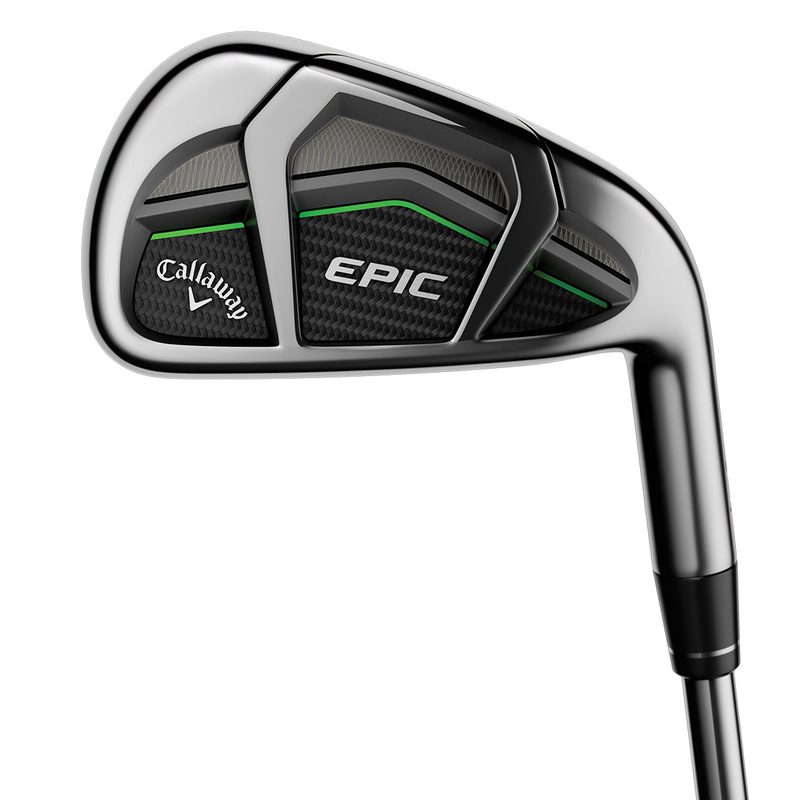 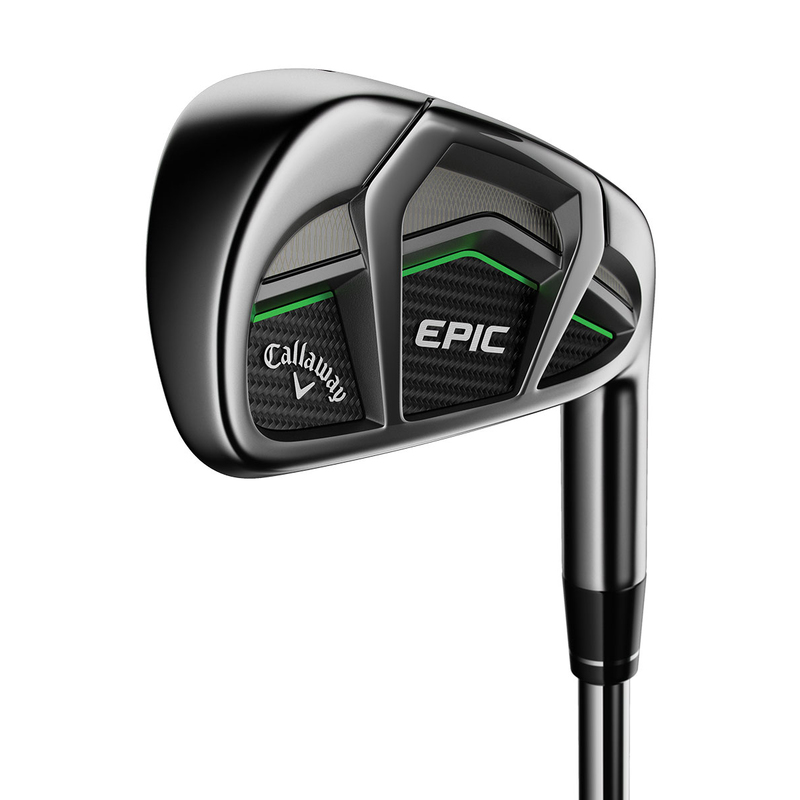 With each iron uniquely designed for optimal performance, these Epic irons from Callaway offer the best in launch, forgiveness, distance and a more controllable flight. 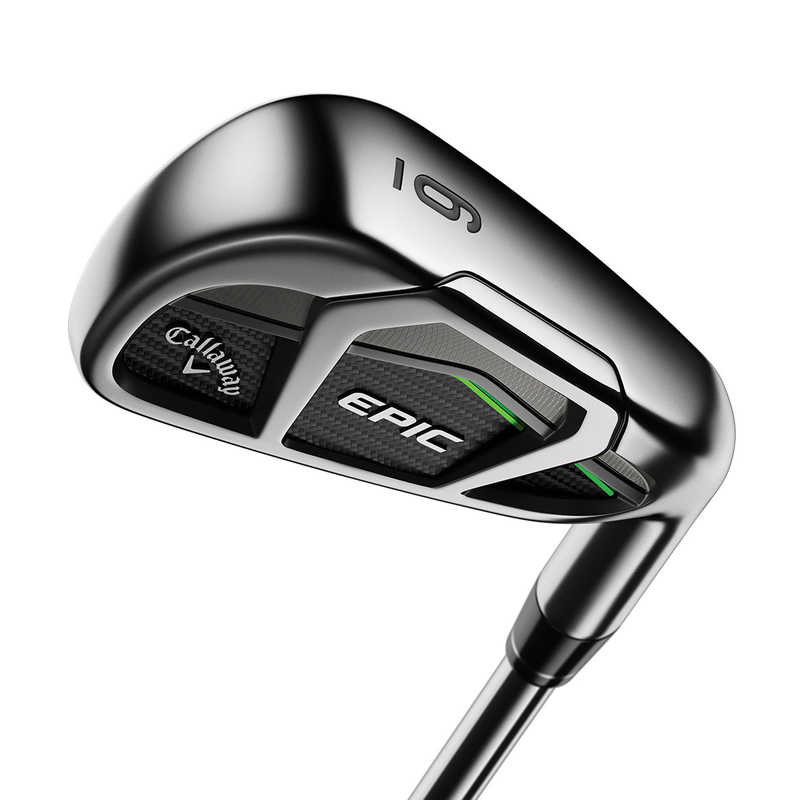 Callaway's engineering team had been given the freedom to give the full iron set every performance advantage, by using the most ultra-premium materials and advancing some of the most revolutionary technologies in the industry. 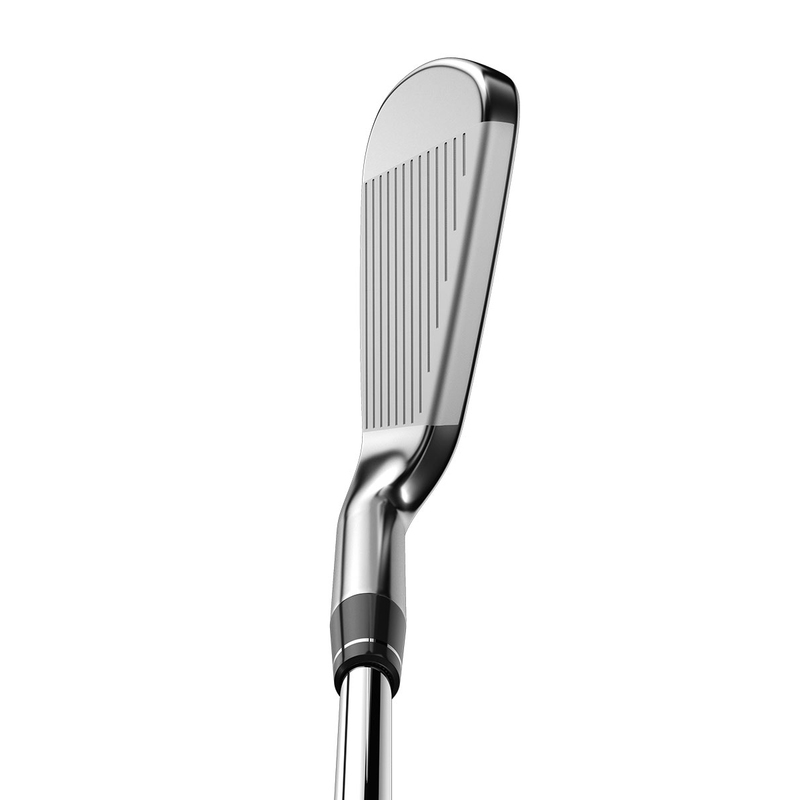 The Face Cup incorporates an ultra-thin rim around the perimeter of the inner side of the face. 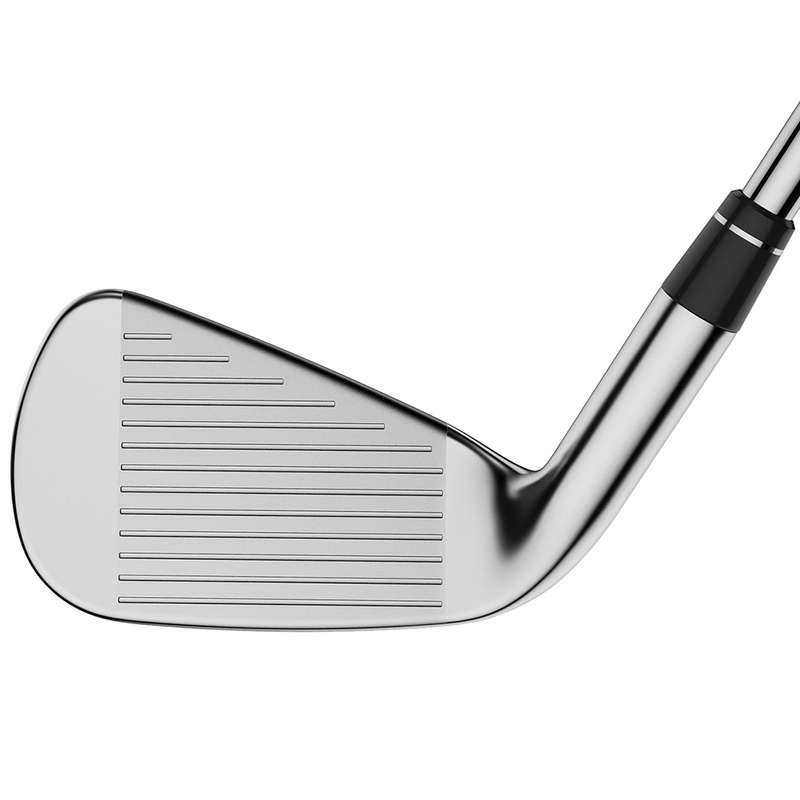 At impact, the rim flexes and rebounds to add ball speed on centre-face hits and minimise ball-speed loss on off-centre hits. 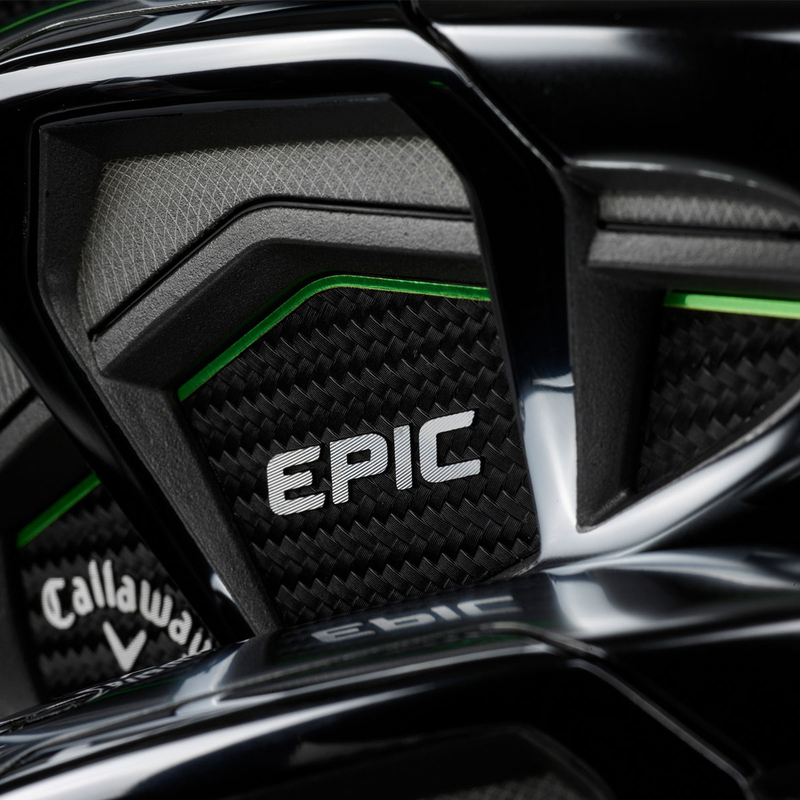 An Exo-Cage head construction stiffens the body to allow the face to take on more of the load of impact. 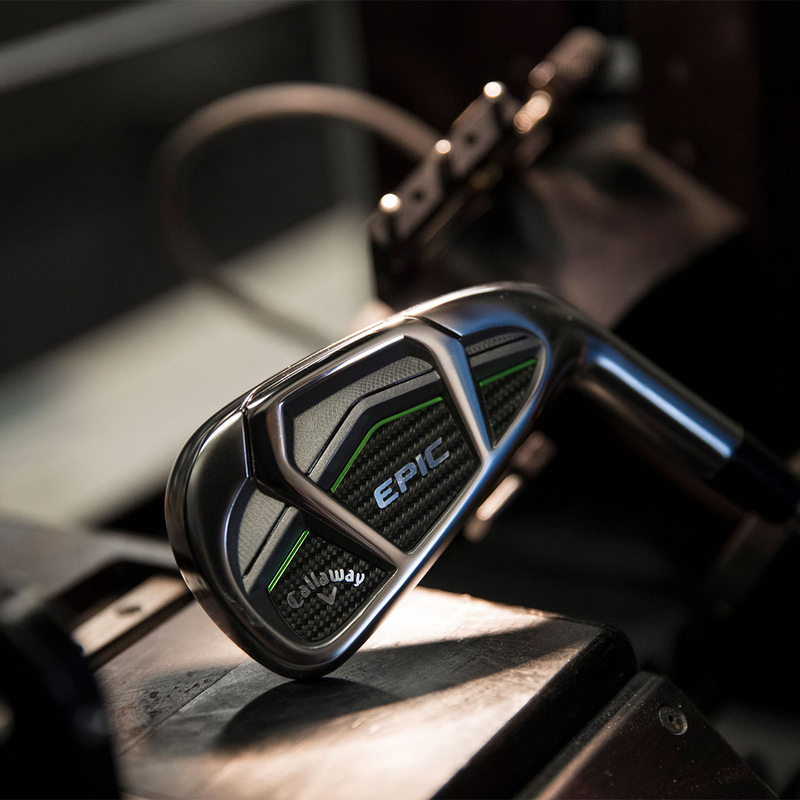 This is known as “Energy Lensing”, and in the irons energy lensing allows the face to behave more efficiently to promote faster ball speed and distance, dramatically enhancing performance. 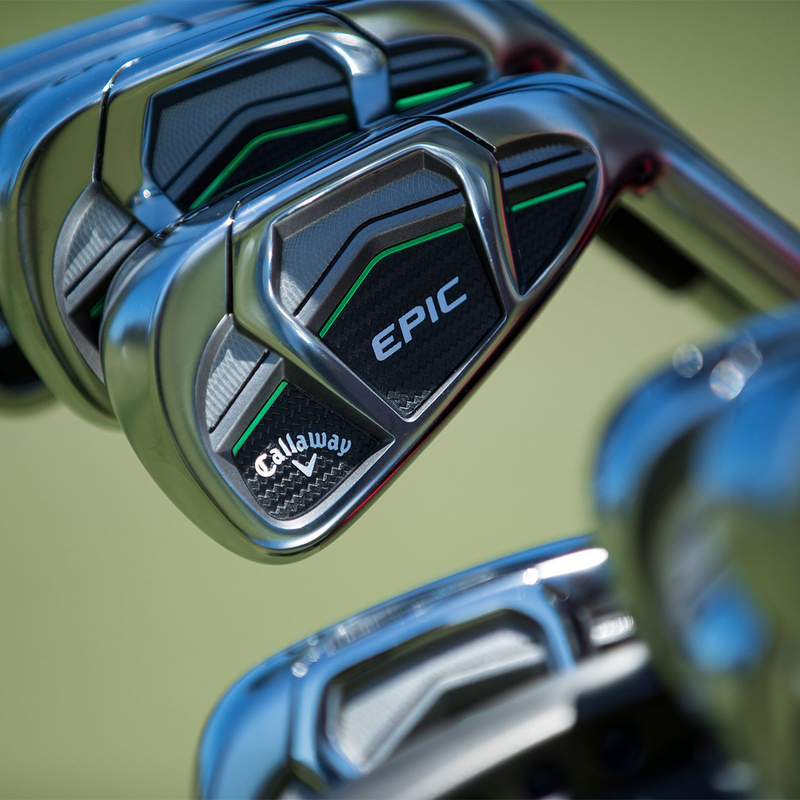 In fact, it helped us raise the COR right up to the limit in each iron.